HRBC’s goal is to proactively investigate, plan, educate, and lead the church in missions experiences that are relational, holistic, ongoing and intergenerational. 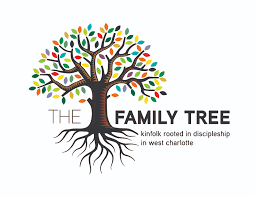 Family Tree is an intentional faith community in the Enderly Park Community of Charlotte, NC. We’ve had an ongoing partnership with directors Greg and Helms Jerrell, since its founding in 2005. Through a grant from CBF, we’ve been able to renovate a garage on their property into a neighborhood clubhouse, renovate homes for residents in the neighborhood and learn a lot about incarnational ministry – how ministry to people often times means moving into the neighborhood and truly becoming a part of the community. We invite a group of members to travel to the Enderly Park community June 27-30 and assist Family Tree in providing Freedom School to the children of their neighborhood. The Freedom School is a national initiative that seeks to build strong, literate and empowered children prepared to make a difference in themselves, their families, communities, nation and world today. This trip is open to families participating together. Every July, after the church hosts VBS, a group of members takes these stories on the road to our friends in Booneville, in Owsley County, KY. While there we visit with families we’ve built relationships with over the years, worship with LeRose Baptist Church, repair and update homes, and provide VBS for the community. Every year, the scope of our mission in Owsley changes a bit as the needs change, too. Last year, some significant changes came our way as we hosted VBS for the first time away from LeRose Baptist Church. Still, the needs remain as Owsley is one of the poorest counties in the country. 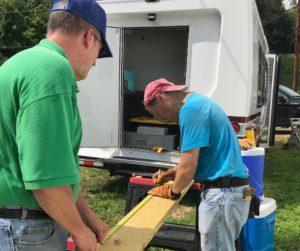 Luckily, we are not strangers in this community and love serving as Christ’s presence in some of the hard places of Appalachia.